PETALING JAYA: A woman who was born and raised in Penang, will take oath tomorrow to be the first non-English mayor in England. Helen Chuah, who loves her curry mee, will be taking the badge and robes of the mayor's office of the city of Colchester in a ceremony held at the city's Moot Hall. “I feel very honoured and privileged to be elected as the first non-English mayor of this historic town of Britain, and would wish to foster closer ties between Colchester and Malaysia,” she told The Star yesterday. “There are many Malaysian students in the University of Essex here and together with the Malaysian media presenters based in London, we hope to promote Malaysian culture, food and possible business links as well,” Chuah, 61. 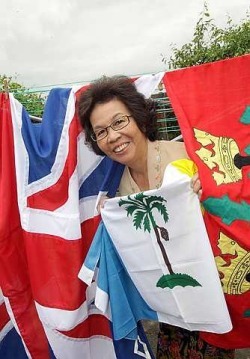 Chuah, who was a student at St George's Girls' School in Penang, left to train as a nurse in Britain in 1971. “I applied to train as a nurse in England and I promised myself that I will go to the first hospital that accepts me and that turned out to be Severalls Hospital in Colchester,” she said. She entered public office as a councillor in 1998. For the past year, she was Colchester Council's deputy mayor.“My one regret is that my late parents will not be here to witness this ceremony. I know they would feel proud and that I have not let them down,” she added. Chuah is married to Englishman Mike Hogg, who is also a Colchester councillor. They have a daughter Rachael Choo, who is a teacher in London. The family regularly returns to Malaysia for holidays and to meet with friends and family. Colchester is located about 100km north-east of London.